Will Sky have to sell footy and movies to rivals? A consultation by Ofcom will decide if Sky has to sell its premium programming wholesale to its rivals at a fair price to avoid a virtual monopoly in British pay TV. The satellite giant has been told that Ofcom will launch a further consultation on the potential power of holding the key sporting events and movies, with the tacit threat of the Competition Commission offered. Ofcom appears to have come to a similar conclusion andlook set to demand Sky's pricing scheme is regulated. "Some content is of particular importance: live Premier League football and first-run blockbuster movies have an especially wide appeal, and are not available via free-to-air TV," said Ofcom. "…channels containing these types of content are in their own narrow wholesale markets, and that Sky has market power in those markets. "This market power gives rise to two concerns. First, that Sky is likely to limit the distribution of those channels to other retailers, either reflecting its belief in its own greater efficiency than other retailers or a desire to limit the ability of other retailers to compete effectively; our review of the evidence indicates that distribution of these channels is indeed limited. "Second, Sky may be able to set wholesale prices above the competitive level; difficulties with analysing wholesale margins make it difficult to draw firm conclusions on this." 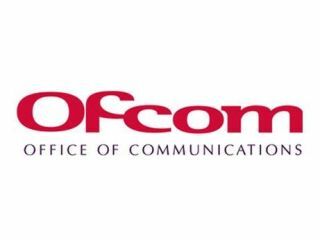 Ofcom added that it would look at its own regulatory options to put an obligation in place that Sky must offer its channels to its competitors for a fair price, but the sword of Damocles that is the Competition Commission was left dangling over the broadcaster. "We propose to address our concerns by requiring Sky to wholesale designated premium channels on regulated terms. In this document we are consulting on the use of our sectoral competition powers under section 316 of the Communications Act to put such an obligation in place. "We may need to return to the question of whether to make a reference to the Competition Commission under the Enterprise Act. This might be appropriate if, for example, we believed there was merit in considering some form of additional intervention into the way in which specific content rights are sold. "However, if we proceed with the proposals set out in this document, then it may be premature to consider any further intervention until we can properly assess the effects of our proposed remedy." This appears to send a message to Sky that they will not be assessed by the Competition Commission, as long as they abide by Ofcom's own ruling. As we have already repores, Sky has been told that an agreement over the wholesale price and availability of its premium channels would facilitate its move into the pay TV Freeview market. We are awaiting a response from Sky.